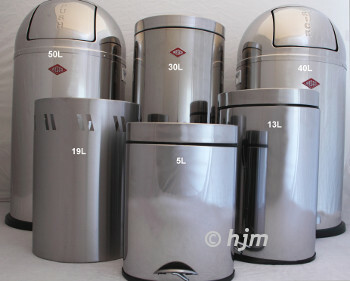 These dust bins are available in various models. Inner container material depends on model. Some models are available with pedal.